Nikhil graduated as a Management Trainée from the prestigious Oberoi School of Hotel Management and worked with the Oberoi Group for 13 years with his last assignment in 2004 as the Executive Assistant Manager at the iconic Oberoi New Delhi. Nikhil joined IHHR group in 2005 as General Manager of the first business hotel, Ista Bangalore and then also held the position of General Manager for both Ista Hyderabad and Ista Pune. He took over as General Manager of flagship destination spa Ananda in the Himalayas in 2014. Nikhil has a wealth of Operational experience and has lead Ananda to scale new heights. From Founder’s Desk: Mr. Ashok Khanna. 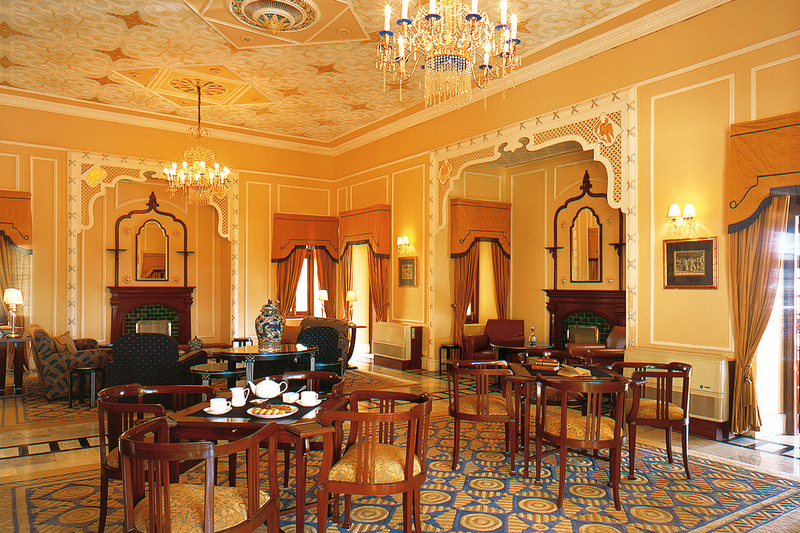 Born into an eminent family of hoteliers, hotels were in my blood. My formative years were spent with the Oberoi Group where I got to learn deeply about classic luxury and an unyielding commitment to detail. India was a closed economy at the time and the landscape was very different to what it is today with a few domestic players monopolizing the marketplace, hotels were no different. As the economy opened up and competition started to grow across all industries, stress levels began to rise dramatically and people started to lose sight of life’s balance. I envisioned that in the years to come people would need a different kind of hotel, one which would not just provide the services and facilities which indian luxury hotels did so well already, but one which would also assist people on a journey to personal health, wellness and rejuvenation. That is when, in the year 1989, the seed for Ananda was planted. I traveled throughout India searching for the location that would embody the soul of Ananda, a location that would bring Ananda to life. I finally found this in the foothills of the Himalayas, the birthplace of Yoga, where people have visited for centuries to be healed and to find rest and rejuvenation. There was a lot of work to be done before Ananda would come into being. 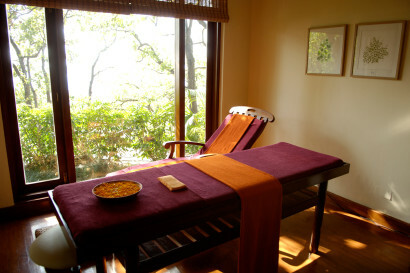 I wanted Ananda to mean one thing, and one thing only- holistic wellness for the mind body and soul. Many elements would need to come together seamlessly to make this a success. Together with my wife Neelam, we began to piece together the pillars of Ananda which are – Yoga, Ayurveda and Vedanta (a philosophy of life). Another vital aspect is the cuisine – Our ancestors believed that the way and what we eat largely contributes to a healthy life, and is an important part of wellness. We adapted the concept of traditional ayurvedic food (food for your body type) so that the same could be accomplished with International cuisines as well. 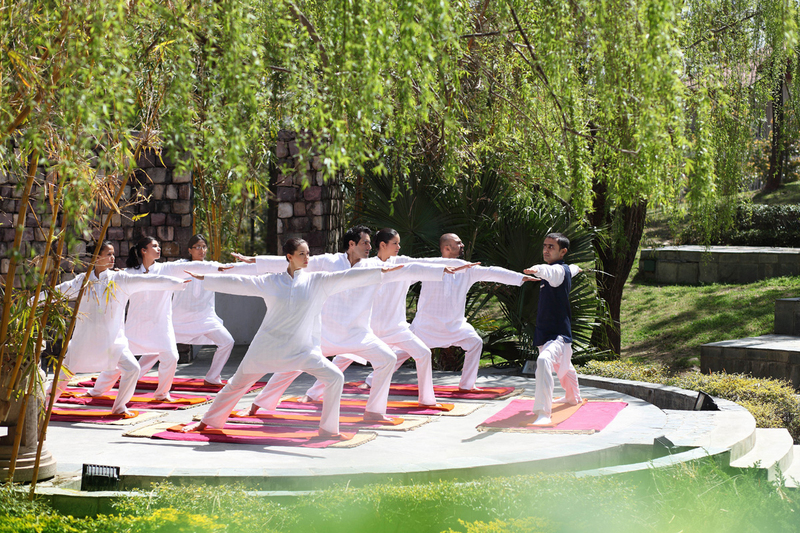 All this, combined with the wellness traditions of other parts of Asia and the west, is our recipe for Ananda’s holistic wellness. The last and most important element essential to Ananda’s being are its people. They are the single most important reason for Ananda’s success. Ananda opened its doors in 2001 and has since received numerous awards and worldwide recognition. Our designer at the time of opening was Chhada, Siembieda & Associates. 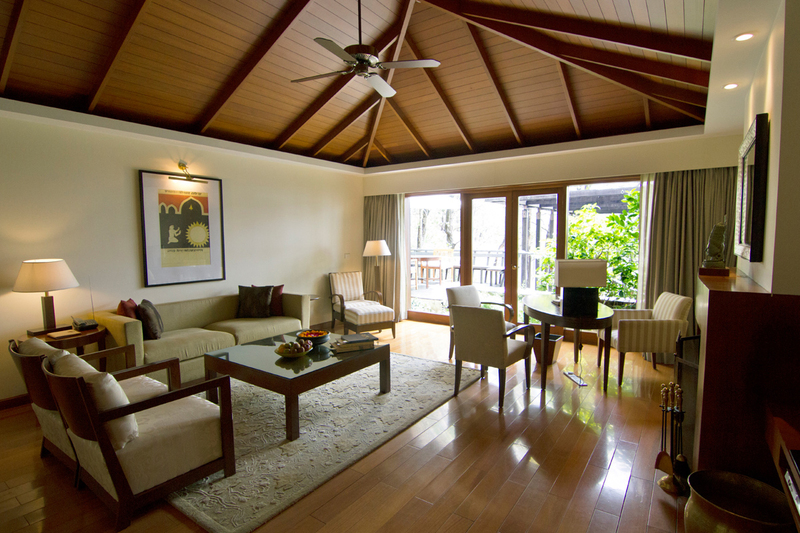 Ananda went through extensive refurbishments of all rooms and public areas in 2015 to enhance its fresh tranquil appeal. Set amongst 100 acres of virgin forest Ananda-In the Himalayas is built around the Maharaja of Tehri Garhwal’s Palace estate in Narendra Nagar. Narendra Nagar is located above the holy city of Rishikesh, with breathtaking views of the Ganges River and the mountainside. Daily flights operate from Delhi to Dehradun airport (45 minutes) and from Dehradun airport Ananda is a 40 minute scenic drive. 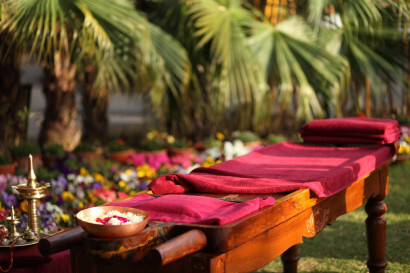 An exhilarating extension to the spa at Ananda, we offer an array of outdoor adventures and thrilling explorations into the Himalayas, Ganges and surrounding National parks. 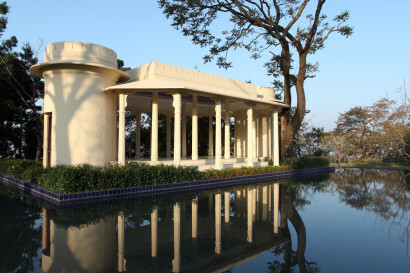 In order to preserve the tranquillity of the destination spa, children below the age of 14 years are not permitted at the Ananda in The Himalayas. Ananda’s Active Teen® Program incorporating several outdoor and on site activities provides a perfect platform to engage teenagers accompanying their parents. 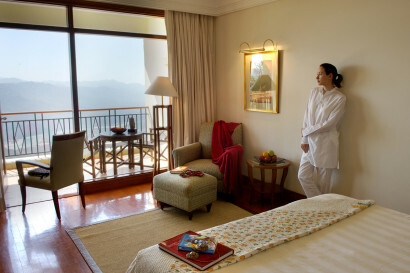 • Valley View – with breathtaking views of the Ganges River and the mountainside. 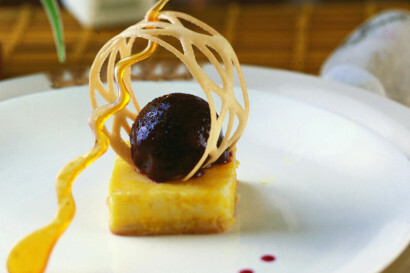 The Restaurant features the finest of Asian and Western cuisine based on the values of traditional Ayurvedic cooking. An outer deck of The Restaurant set within the natural environs of the surrounding Sal trees and overlooking the valley. 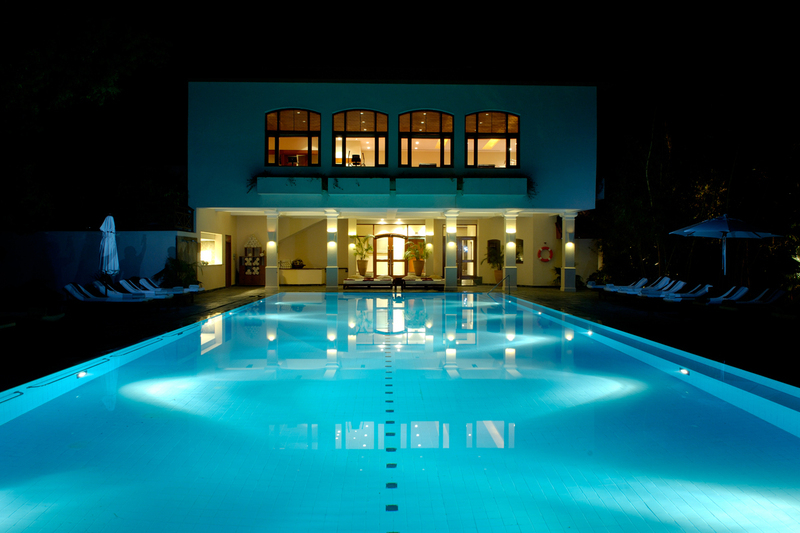 A casual and cosy setting for drinks and light snacks, located adjacent to The Restaurant and pool. Located in the Viceregal Palace and serves high tea and soft beverages. Set on the ridge of the Himalayan foothills, a perfect place to relax with healthy snacks and fresh juices. 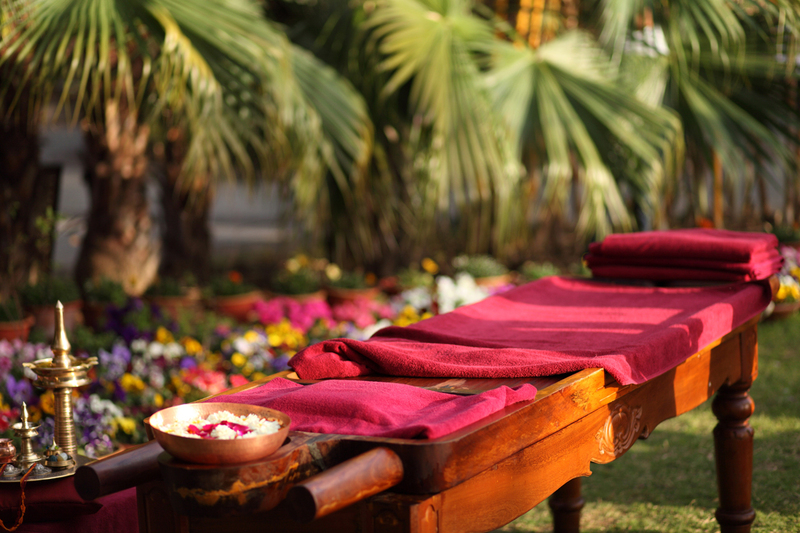 Ananda is a retreat dedicated to restoring balance and harmonizing energy through a holistic approach to wellbeing. Guests can immerse themselves in a complete rejuvenation experience in the 24,000 square foot spa, with an extensive selection of around 80 therapies in the 24 treatment rooms and 4 consultation rooms. The Spa also features luxurious hydrotherapy facilities, outdoor temperature-controlled swimming pool, sauna, steam rooms, and a fully equipped gymnasium. 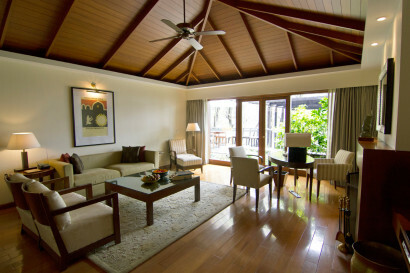 Ananda offers a unique opportunity for a once on a lifetime celebrations for occasions like birthdays, honeymoons, bridal showers and anniversaries. While Ananda has also a rejuvenating destination for board/CXO level strategy meetings, we do not accept accept large corporate groups.